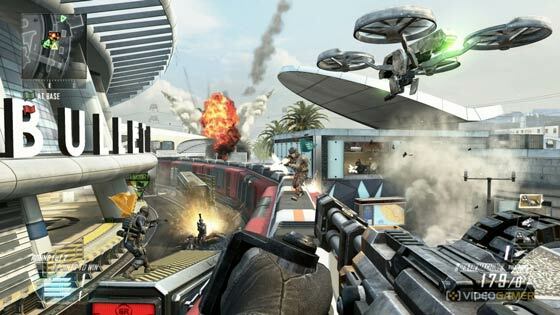 Last year Activision’s Call of Duty: Black Ops 2 was the biggest selling entertainment title in the UK, with nearly 2.7 million copies of the game sold. 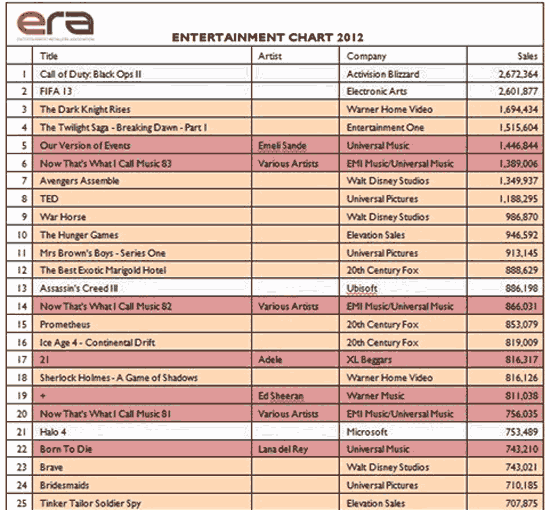 The game narrowly beat EA’s FIFA 13 which scored about 2.6 million sales last year. However both these top selling games were leagues ahead of the next most popular entertainment releases from the film and music industries. The BBC reports that the Entertainment Retail Association (ERA) described 2012 as a “poor” year for sales of entertainment products, with overall sales down 12 per cent year-on-year. Furthermore sales of the Top 40 titles were down 25 per cent compared to last year. It seems like there were too few truly good blockbuster releases last year “2012 was a tough year for entertainment due to a number of factors, but this sharp 25% shrinkage in sales of the biggest titles suggests that the quality of releases was at least partly to blame,” said Kim Bayley, director of the ERA. This year has, however, already got off to a flying start with thanks in part to Skyfall, which is “on course to beat Call of Duty's tally within just a couple of months of its release” in 2013, according to current ERA figures. Gamers will be able to buy aesthetic customisation items such as “personalisation packs”, more slots for customised weapon loadouts and maps and modes which were previously only available to limited-edition game purchasers.